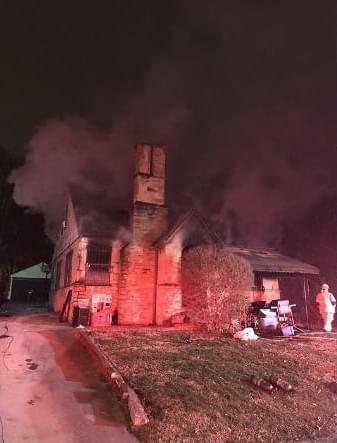 Just before 6:00 this morning, the Knox County 911 center was alerted to a house on fire on Woodbine Ave. near N. Harrison Street. A neighbor reported the fire. On arrival, KFD found heavy fire on the 1st floor, which quickly spread to the 2nd floor and attic. This is a 2 story 2400 square foot home. No one appears to have been home at the time of the fire. An investigation will begin once the fire is extinguished. No injuries have been reported.